It’s been a tough few years for first home buyers… to say the least. They’ve had to deal with intense competition from investors, speculators and upgraders in almost all capital cities, but especially Sydney and Melbourne. They’ve battled skyrocketing prices that put large chunks of the market off-limits. And if they dared complain about the difficulties, they were shouted down publicly under a truckload of avocado-led accusations about self-indulgence and below-par budgeting willpower. Taking that first step on the property ladder is as tough as ever – but all of that might changing. In our major markets prices are softening, competition is drying up and conditions for first-timers have improved dramatically. Does all this mean now is the time for new buyers to enter the market? Let’s run the argument and see where we land. Across Australia, dwelling values have fallen at their fastest pace in almost six years, down 1.6 per cent over the past 12 months – but it’s a tale of mixed fortunes for the east coast capitals. Sydney has seen the biggest decline, down 5.4 per cent year-on-year, while Melbourne has dropped 0.5 per cent. In Brisbane, there’s a bit of a yoyo performance going on – house prices dipped a worrying 1.2 per cent over the past quarter… but remain 1.8 per cent up over the past year. Local investors are sitting back, passing around the popcorn and watching how things unfold. Most foreign investors have packed their designer luggage and cleared off out of the market. Upgraders are either putting off purchasing or taking longer to make more discerning decisions because while prices tighten, options improve. What does this mean for first-time buyers? For first time buyers, less competition means better buying opportunities of course. It’s easier to negotiate a better deal when vendors get toey on achieving a sale. We’re already seeing reports of improved activity in the first home buyer segment. The number of high loan-to-value ratio loans – those most favoured by first-timers – increased last month. Governments in Victoria and New South Wales say new buyer activity is soaring, and not just in capital cities but also in major regional centers. Agents are telling me that inquiry from first home buyers is on the rise, as the savviest of them can see that the time to buy is here. In Sydney in particular, the government says the number of stamp duty concessions being taken up by first-timers has boomed. While other types of buyers are being cautious, first-time buyers are preparing themselves to strike. And it’s smart. When everyone else is hesitating, that’s when first-timers should be getting their ducks in a row. The outlook for Sydney and Melbourne in the next little while varies depending on who you ask. Some pundits think there’s a five to ten per cent reduction in the Harbour City over the next 18 months. Others think the correction will be smaller and much briefer before fortunes rebound. In Melbourne, some think there’s some softening still to come while others believe the Victorian capital will be immune from major falls in values. 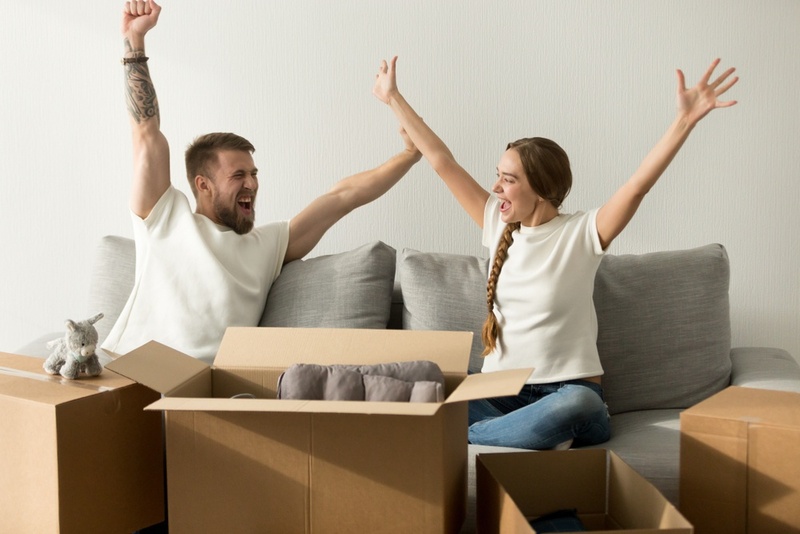 Put simply, no one is 100 per cent certain – but for first-time buyers who are thinking long-term, that doesn’t matter as much. In markets like Brisbane and Adelaide, the forecast is much more definitive. Experts unanimously believe that those cities are about to have their time in the sun. After many years of underwhelming growth, Brisbane is back on the boil and some are even tipping Adelaide to be the hottest market in Australia for price increases over the next year or so. If you’re in a position to make your first step, there are good opportunities to be had. But as with any buyer type and any time in the market cycle, you need to make clever, well-informed decisions. Know the market, your personal circumstances and how these fit in with your very clearly defined long-term goals. This will help to determine your price point, areas to look in, the type of dwelling you target and your medium to long-term strategy for what to do with it. There is no one-size-fits-all approach to buying, especially for the first time, so assemble a team of qualified experts who can guide you through the start of your journey. Utilising experts is more important now than ever. There are great deals out there, which are more accessible for first-timers than they’ve been in several years. If you’re prepared, they’re yours for the taking. But do your homework and rely on experts. This could be the start of your wealth creation dreams. Are you ready? If you’d like to get your foot on the property ladder, then please contact my friendly team of Buyers Agents who would be glad to lend a hand. Tell us your property brief or call us on 1300 655 615 today.